STANDARD FTC DISCLOSURE: In order for me to support my blogging activities, I may receive monetary compensation or other types of remuneration for my endorsement, recommendation, testimonial and/or link to any products or services from this blog. Please note that I only endorse products that fit with Motherhood and Merlot and what I believe would be of value to my readers. Thank you for your continued support! ONEHOPE Wine: ONEHOPE has a huge variety of gift sets for the wine lover in your life, like this red wine lovers dream set! ONEHOPE was founded in 2010 by eight friends who wanted to make a quality product that also made a social impact with every purchase. 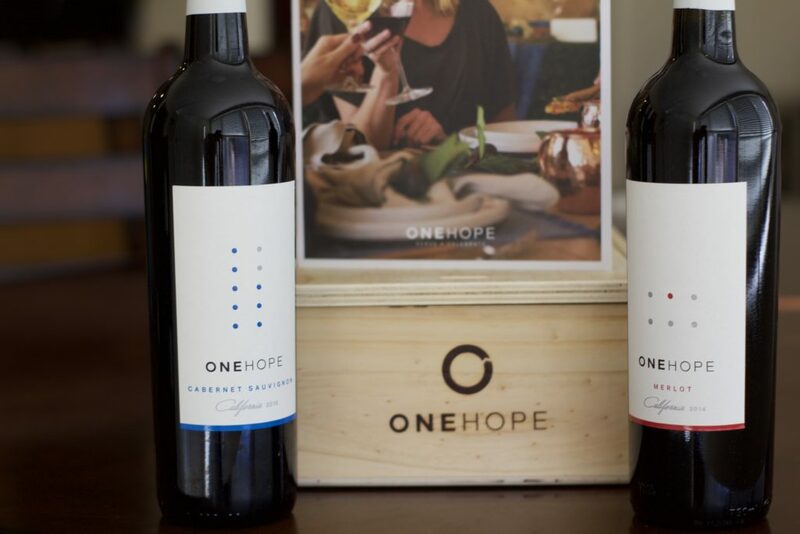 Primarily produced out of Napa Valley, California in collaboration with Robert Mondavi, Jr., ONEHOPE Wine has received 90+ ratings, but more importantly has made an even bigger impact on the world by donating over $2.6 Million to charity over the last ten years.With every purchase, ONEHOPE donates 50% of the profits to the dedicated cause partner. Plus, their wines are SUPER tasty! Get your own set here and receive 30% off. White Wipes: White Wipes are simple, yet durable, disposable wipe that you swipe over your teeth to collect stains. They have a great minty flavor, which is bonus because white teeth and fresh breath it a win! They are small enough to throw in your wallet, purse, car, or pocket. You never know when you might enjoy a black coffee, dark soda, or a glass of red wine, and no one wants to finish out their day with teeth staining. 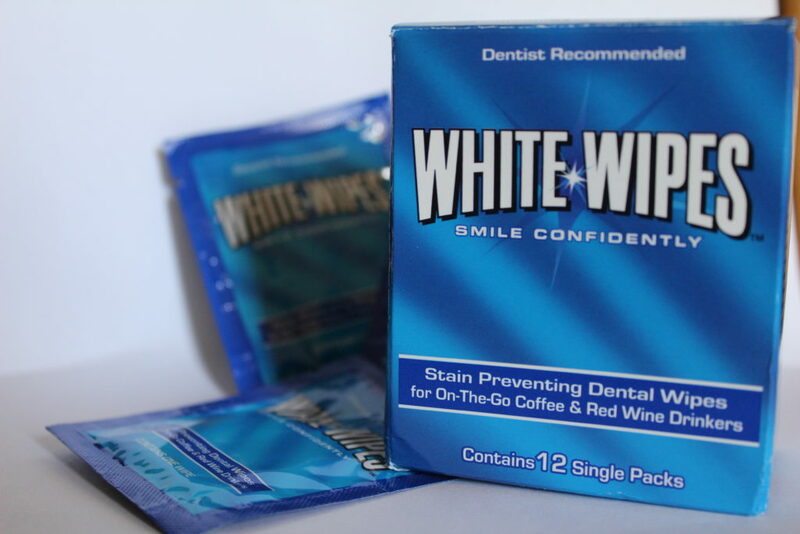 These are super inexpensive, and you can even get White Wipes – Teeth Whitening Wipes Designed for Coffee and Red Wine Lovers from Amazon. Seriously, try them out. They are awesome and would make a great stocking stuffer. Wine Subscription from Gold Medal Wine Club: You had to expect this one from me, right? 🙂 Anyone who knows me, knows that I love wine. Most of the ladies I know, enjoy a glass of wine too! This is the perfect gift for those ladies (and guys) on your list that love to try out a lot of different types of wine, but don’t like to take multiple trips to the store for them. Obviously, wine subscriptions are always going to be a wine for a wine lover. If you want to give someone a bottle of wine, check out this list of my favorite wines to give as gifts. 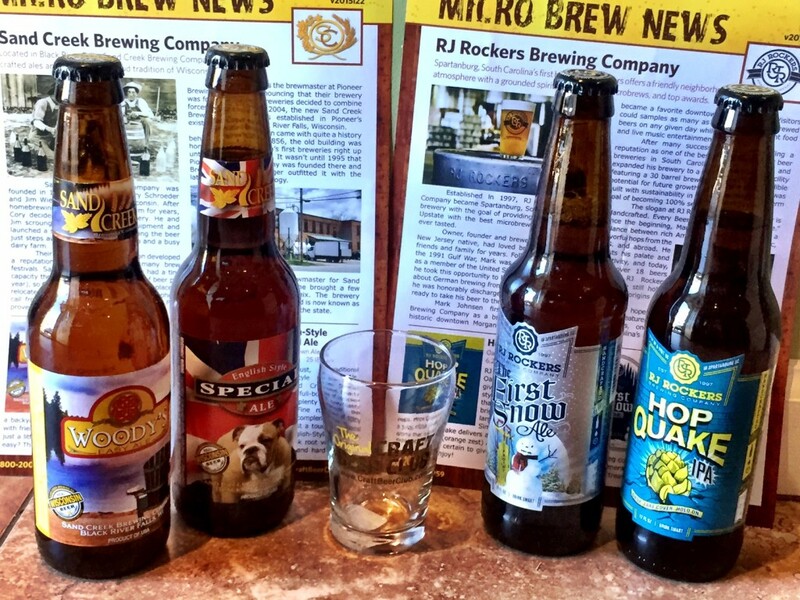 The Original Craft Beer Club Subscription: This is a must have for the person in your life who loves a good beer. With this subscription, you can choose how long you want the service for, how you want to be billed, how often you want to receive the beer, etc… Whoever you purchase this for will get 12 beers shipped to their door monthly, every other month, or quarterly. It will be four completely different 12 ounce beers, with three of each type of beer included. There is a ton of information that comes with it on the beers, as well as recipes and pairings that would go well with each one specifically. You can’t forget about the food pairings for those wine and beer lovers too. 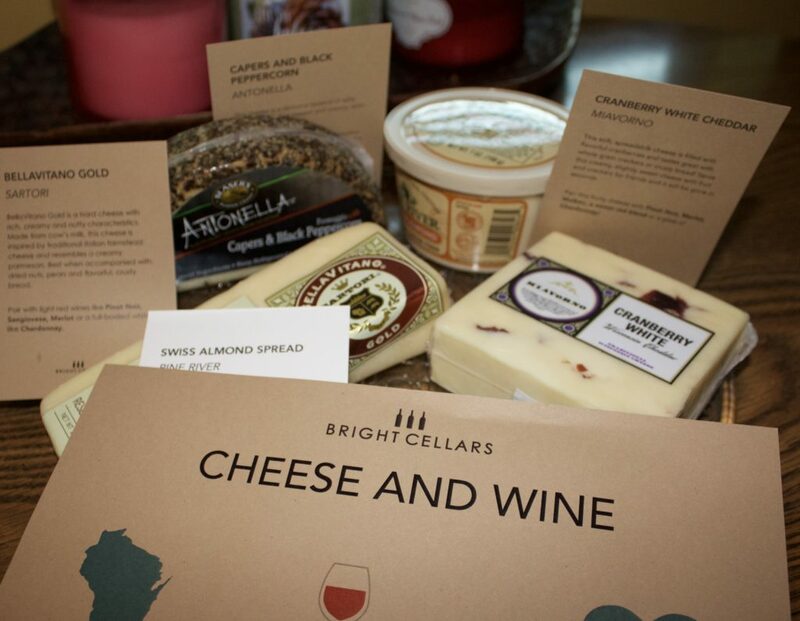 Bright Cellars Cheese Experience: Bright Cellars is the monthly cheese club that matches you with cheese that you’ll love. At Bright Cellars, they are making premium Wisconsin cheeses, some of the best in the world, accessible to everyone. The staff there do their best to source on a small scale, personally contacting farmers and cheesemakers throughout the state of Wisconsin and bringing their cheeses to the masses! I wrote a post about the Bright Cellars wine subscription, and this cheese experience matches perfectly with that! You can get a subscription for the wine lover in your life (or yourself) as a gift, and then they take a quiz to match them with their “cheese tastes”. You get sent four different types of cheese that fit your flavor profile, and they send different types each month. The cheese that I sampled in my monthly box was AMAZING, especially the spread. Oh my goodness, I won’t lie… I ate the entire tub! Take the quiz and get 50% off of your first box here. Want to surprise the alcohol connoisseur in your life with something really fun? Give them a kit to make their own blend! Mulled Wine Kit: Mulled Wine Brewing Kit includes everything you need to create your own custom blend spice satchels. Its perfect for entertaining during the holidays, and makes plenty of mulled red wine, white wine, cider, or spiced hot chocolate. The kit includes 9 spices to mix & match, 5 disposable drawstring spice satchels, and of course beautiful step by step instructions and recipes. Try something like star anise and cinnamon in your hard cider, or orange clove and spice with your red wine. YUM! The kits ship for free domestically. There are so many different options to mix and match to make the perfect wine or cider infusion. Use the code motherhood&merlot for 20% off of your order! You can get it for yourself or as a gift here. What are your favorite gifts to give to wine lovers? Make sure to subscribe below to stay up to date with the rest of the holiday posts! 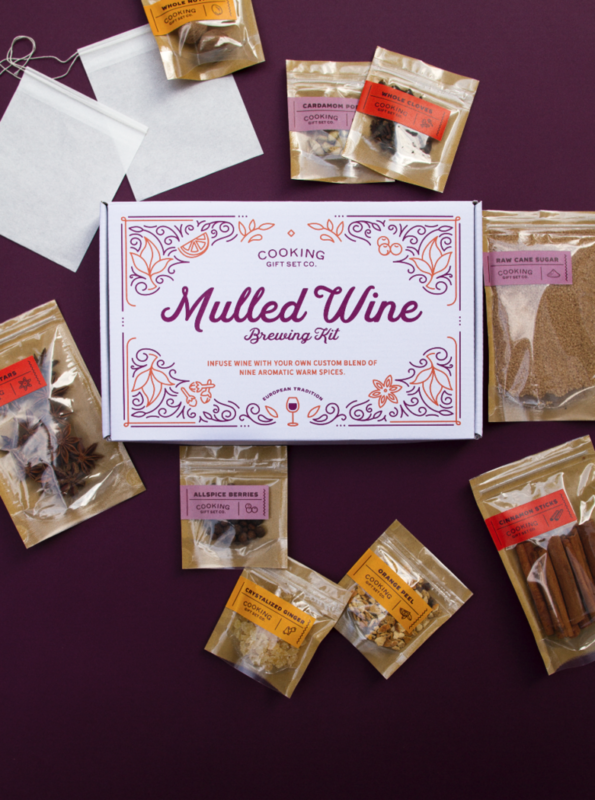 The mulled wine kit is something I need to put on the list for my sister and brother-in-law they love mulled wine. Had never heard about these wet wipes, will need to check these out, so useful! I’m always on the lookout for new and exciting things to gift my wine enthusiast friends, this is a great list! I love gift idea lists that you can see in one place! So many options! Love the hot sauce idea! My step dad LOVES beer… while my mom LOVES wine…. these are great ideas for their Christmas gifts!! These are great ideas! The mule wine brewing kit seems like a lot of fun!! Yes, wine gifts are the best gifts!! Monthly clubs are such a great idea! I don’t ever buy it for myself, but if someone buys it for me, it’s AWESOME! I definitely want both the Wine and Cheese of the Months! Hint Hint. What a fantastic gift, love the white wipes and the cheese experience. I am going to check into those for my wine loving aunt. Cool gifts! I’d give a personalized glass and wine charms. I gave a friend the wine bible for secret santa. Wow! these are really awesome gift ideas. I really appreciate you for posting a great article. Rather, I would love brewing beer at home and finding best brew kit reviews. 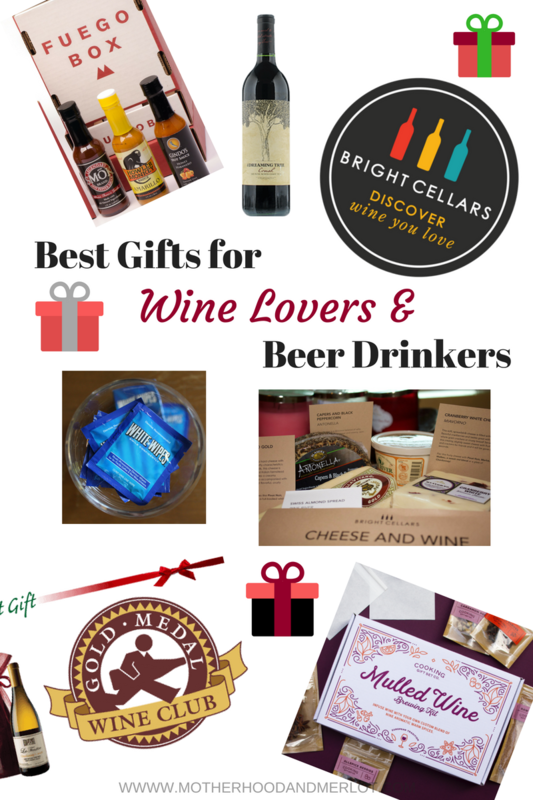 Although, these wine and beer gift ideas are too good. Thanks for making an amazing post…. 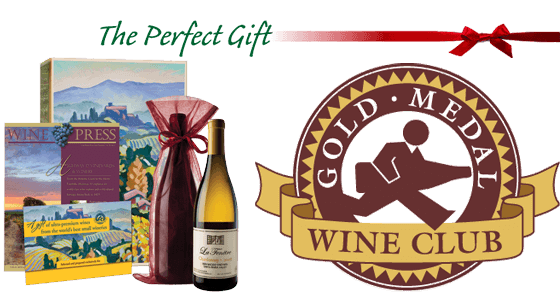 I love your ideas of gift wine and beer items. I will gift it to my colleague on his bithday.